Have you ever wondered that how exactly does the ads of some websites appear as sponsored links whenever you Google a phrase? Well, it is because of the Google AdWords, which is an online advertising program by Google. Google AdWords is a means to earn bucks from your business by a strategic marketing technique. You just need to make an optimized use of the keywords, utilize a relevant conversion tracking system, follow the newly updated URL guidelines and soon you will be boasting of a spectacular number of clients. • How many customers actually click on your link? • Does the traffic on the site result in a sale? • Which keyword attracts the majority of clients? 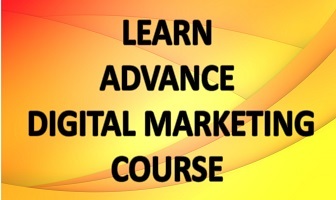 • How much revenue does my company generate every month through Google AdWords? • install your mobile app etc. Google AdWords offers a very useful feature that is the website conversions. Whenever a customer clicks on to the Google ad, then a Google Click ID (GCID) is generated. This GCID helps in keeping a track of all the people who have clicked on your website and people who have clicked on the phone number of your site from the website. The Google AdWords can help in tracking how many ad clicks actually convert into a sale through a phone call. Several Google AdWords call tracking provider are available in the industry. You can just choose any one of them and they can help you in tracking the calls from ads through call extensions that use the Google forwarding number. You can specify the minimum duration of time for a call. If the call exceeds this duration then, it is considered as a conversion. If you are not sure regarding the minimum time, then the call tracking provider will specify the default time as 60 seconds. With the dawn of smart phones, people have shifted to apps and find it convenient to browse and purchase the products and services through it. So, it is very necessary to track the number of people who have downloaded your app and are utilizing its features by rendering to your services. With the Google AdWords, you can keep a track on the mobile app downloads and in-app purchases that are made by your clients on both Android as well as iOS platform. With the AdWords, you can actually import the offline sales and conversions that are made through the Google Ads. As soon as a customer clicks on a Google ad, the GCID is generated. When he fills in his personal details, his information is stored in a database along with the GCID. Your sales team utilizes this information and struck up a deal with him. Finally when the payment is made, your team updates the field of the database by entering purchase. Now you can finally upload the GCID, type of conversion and the date of purchase into AdWords. This Adword conversion table would include keywords, clicks, cost, conversions and clicks. This can therefore help you in monitoring which keyword led to the maximum sales. To track the number of clicks and conversions, you must have a sound knowledge about the upgraded URLs. These will help you in an efficient tracking of the traffic that arrives through the Google AdWords. Destination URL is the address of the webpage that a person reaches when he clicks on your ad. Prior to the upgradation in URLs, if you were required to bring about some changes in the tracking settings, then your ads were sent for editorial reviews and all this while your ads remained dormant and all the information attached to the URL was lost. To resolve this problem, the final URL was brought into the picture. The final URL has now replaced destination URL and through it modifications in the tracking settings would never lead to any sort of loss. Mobile URLS include the list of all the possible final URLs that would redirect a client to your landing page through his mobile device. Therefore, through the Google AdWords you can actually take your business to unprecedented heights.